Up for Buy It Now, we have this New ~ Leisure Arts Presents ~ "Landscape Quilts" ~ Quilting Book. You learn to layer string to create depth in your collage and buff the finished piece to remove blooms and make your work shine. Please review photos as they are part of the description. Page number: 112 Page 4. Language: Chinese. 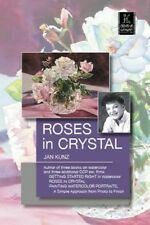 Roses in Crystal with Jan Kunz. Paint along with Jan Kunz as she demonstrates how to create the illusion of sunlight flooding through a crystal vase filled with old fashioned roses. Learn to suggest translucent petals, use reflected light for brilliance and glow, and other ways to perfect your floral painting. Strathmore-Learning Series: Hand Lettering Basics The Learning Series from Strathmore incorporates step-by-step art lessons into a pad with quality Strathmore paper Pads feature step-by-step lessons and paper for each lesson Twelve spiral bound sheets of 9X12 inch acid free Bristol paper with a vellum finish Made in USA. . 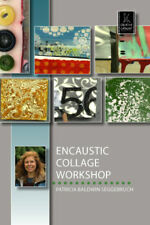 LEISURE ARTS-Explore your creativity! Making gorgeous landscape quilts is easy with nationally recognized quilting experts Nancy Zieman and Natalie Sewell. Softcover: 144 pages. Made in USA. Helpful Links. Alice In Wonderland Rapunzel Gift. Australia, South East Asia. Founded in 1922 by artist Walter T Foster, Walter Foster Publishing is the leading publisher of how to drawn and paint books for adults and children. 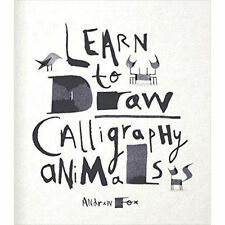 The diverse selection of instructional books have created a foundation for millions of artists looking to hone their talents. In these watercolor lessons, you will learn to paint from a proper value plan, use bold high energy strokes, and achieve rich colors and energetic lighting. Betty Carr demonstrates and shares her thoughts on. Claire Waite Brown provides all the key techniques such as mixing, blending, scumbling, sgraffito, hatching, and feathering in over 100 visual sequences. We are proud to say that we have been serving artists of all levels since 1995. It would help make your coloring to be sparkling especially under lights. INTRODUCTION FOR THE GLITTER GEL PENS. We specially prepared this glitter pens set and hope you would like it and find your coloring fun from it! When we saw it, we realized it would revolutionise how artists learn and could change the art world forever. That is, until we saw it in action from artist Bryan Mark Taylor, who has devoted the last few years of his life learning about… well… learning about learning. Fine Prints to copy by Walter Foster. Lot of 3 Adult Coloring Books Mandalas Nature Cats and Dogs NEW! This lot of 3 adult coloring books are all brand new... in excellent condition. Variety of topics include mandalas, cats, dogs and nature. Clean-smoke free home. Thank you for your interest! 35 pages of paper cut out cards to color. Shows how to make envelopes for cards. Children section. New and Used. Screenprinting: tools, techniques, methods dvd t.hill. This is one of two great books on this subject. The other is titled SEASONS IN BLOOM. 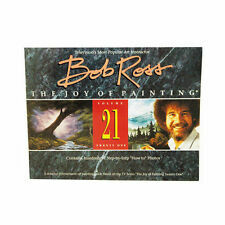 Learn from one of the grrstest Living art teachers. 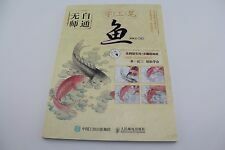 This book Contains hundreds of step by step How-to Photos. 34 Pages, 10 1/4" by 13 3/4". Guide is pre-owned and has wear. Cover has previous owners information on it. FOX37285 FOX CHAPEL PUB LEARN TO BURN BK. Model Number: FOX37285. Manufacturer Part Number FOX37285. Product Model FOX37285. Manufacturer: FOX CHAPEL PUBLISHING. Manufacturer FOX CHAPEL PUBLISHING. Fox Chapel Publishing Learn To Burn Book- A Step-by-Step Guide to Getting Started in Pyrography Learn to write with fire along with all the basics of woodburning purchasing tools materials setup and safety Master all of the essential techniques for. And it's no wonder because they're so easy and quick to make. It's fast! You're going to love this! Softcover, 40 pages. Published 2012. Imported.". Manufacturer Leisure Arts. Product images are for illustrative purposes only and may differ from the actual product. 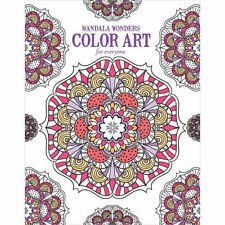 DOVER PUBLICATIONS-Nature Mandalas. Artwork by Marty Noble. Published 2012. Made in USA. Helpful Links. THROUGH 'SOUNDWAVE' RANKIN TEACHES YOU COLOR BLENDING, TRANSPARENCY, IMPASTO PAINTING, 'PAINTING IN PICTURE' AND MORE! Above all else I am a christian. 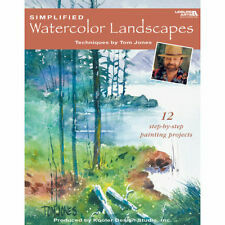 Strathmore-Learning Series: Nature The Learning Series from Strathmore incorporates step-by-step art lessons into a pad with quality Strathmore paper Pads feature step-by-step lessons and paper for each lesson Twelve spiral bound sheets of 9X12 inch acid free Bristol paper with a vellum finish Made in USA. .
2001 Plaid One Stroke Year of Flowers by Donna Dewberry. It is for ages 8 to adult, and illustrated by P.J.C. Smart. 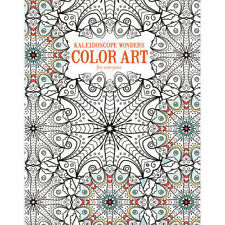 DOR5506 DESIGN ORIGINALS ANIMALS COLORING BK. Model Number: DOR5506. Manufacturer Part Number DOR5506. Product Model DOR5506. Manufacturer: DESIGN ORIGINALS. Manufacturer DESIGN ORIGINALS. Item#: 5120658. Step by step instructions and beautiful illustrations guide you through a range of different techniques including using textured kozo papers, colouring by sprinkling Brusho to create book covers and bracelets, working with Brusho and fusible webbings, using Brusho with Colourcraft Ltd Relief Paste and transferring patterns using rubbing plates.